US facing massive strategic defeat in plan to topple Assad. Russia, Iran and Hezbollah are about to get a big win in Syria. Nearly two years after President Obama declared, “The time has come for President Assad to step aside,” Bashar al-Assad has gained the upper hand, and his forces are battering the disorganized, mostly Islamist opposition. It’s not too late for the United States to salvage something out of its absurdly bungled Syria policy, but they’ll have to move fast. The story playing out now in Syria is so familiar that it’s almost a leitmotif of U.S. foreign policy. Washington wants to see a change of government so it encourages local rebels to rise up. Once these rebels are on the barricades, policymakers often get cold feet, realizing that they lack public support. This process happened in the Hungarian Revolution of 1956, the Bay of Pigs in 1961, the Prague Spring of 1968, the contras program in Nicaragua in 1984. It happened in Lebanon, Laos, southern Iraq . . . make your own list. Ignatius has a point, although in none of those cases would it have been a good idea for the United States to intervene militarily to back up the opposition. Invade Hungary in 1956? Cuba in 1961? In the case of the rebels in southern Iraq—and here, Ignatius means those who revolted in 1991 after the Gulf War—we indeed did find out what happens when we put our armed forces where our mouth is. Obama, who announced that the United States would supply arms to the Syrian rebels on June 13, is apparently having second thoughts. So are the British, who are backing off. Earlier this week, in a post called “Syria Plan Blows Up in Obama’s Face,” I noted that everything that might have gone wrong in Syria for the United States has gone wrong. Obama is to blame for that: he called for Assad to quit, backed the rebels with words, set various Red Lines and teetered onto slippery slopes, and now finds himself in a situation in which the United States faces a massive strategic defeat by Assad and his Russia-Iran-Hezbollah backers. I’ll give Obama credit for resisting calls from inside his own administration to go all-in, but he’s still created a mess. In recent weeks, rebel groups have been killing one another with increasing ferocity, losing ground on the battlefield and alienating the very citizens they say they want to liberate. At the same time, the United States and other Western powers that have called for Mr. Assad to step down have shown new reluctance to provide the rebels with badly needed weapons. After leading a determined push with France to remove legal hindrances to arming Syria’s rebels, Britain is apparently signaling a more cautious approach, even as British newspaper reports say Prime Minister David Cameron has retreated from the idea altogether. This will not be easy. It will require coordinating all the disparate sources of support on the outside—from Saudi Arabia, Qatar, Turkey, the United Arab Emirates, Britain, and France—and ensuring that all money, training, weapons, and non-lethal and humanitarian assistance are channeled in a complementary and cooperative fashion. There should be no illusions: Should the U.S. take over the management of the assistance effort—something that will require a serious investment of time and political capital on the part of the administration—transforming the situation and the balance of power will take time, and is not a given at this point. Three words: not gonna happen. The way out of the mess, though it, too, ain’t simple, is through diplomacy: Iran’s new president has signaled that he wants better relations with Saudi Arabia and that he might be open to a negotiated end to Syria’s civil war. The Russians have made their point, and it’s time for the United States and Russia to set a date for the Geneva peace conference. 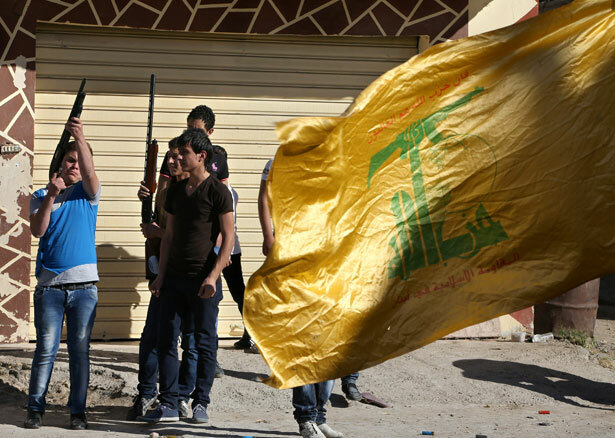 And already the United States is providing Hezbollah with warnings about terrorism linked to the anti-Hezbollah, anti-Shiite Sunni fanatics who oppose Assad. The good that could come from the looming American defeat in Syria is a lasting deal with Iran, Russia and their friends in the region. Would Samantha Power’s confirmation change US policy in Syria?